After working together online for over 6 months we finally met at the IADIS Mlearning Conference in Berlin, where we both presented social media projects. 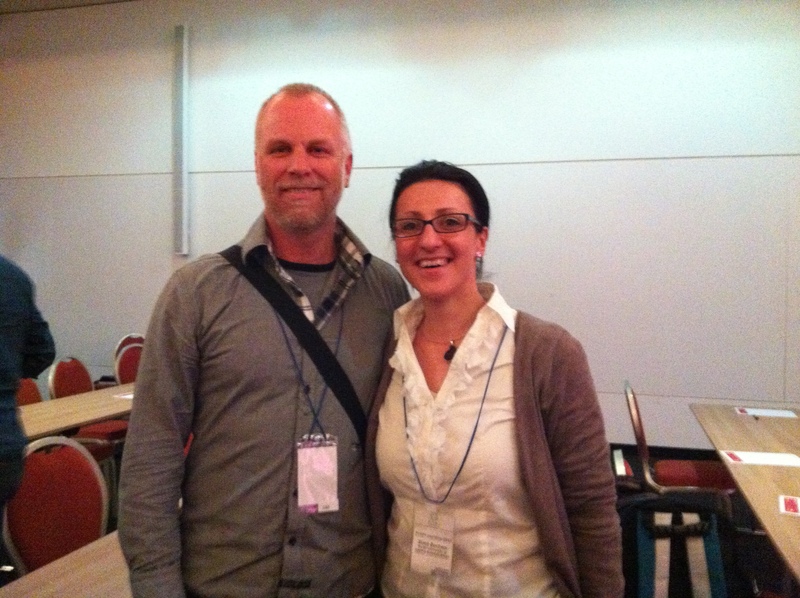 It was great to meet Ilona face-to-face at the IADIS Mlearning Conference in Berlin this week! Like this:LikeBe the first to like this post. “@mediendidaktik: Mobile Learning Conference Berlin #iCollab11 #iCollab12 #iadismlearning11 twitter.com/mediendidaktik…” Great to meet! #iadismlearning12 I would read the papers before the presentations BUT the proceedings CD won’t fit in my iPad or iPhone DOH! ePub anyone? Introduction to using Twitter in class for Media Relations students at AUT University, 29 February 2012. Inaugural Learning Teaching Development Fellowships launched today by the Centre for Learning And Teaching at AUT University. 15 Fellows announced and introduced to drive innovation in teaching and learning at AUT. @mediendidaktik: Qik – Mobile video vsb.li/sLpky0 #iadismlearning12 #icollab12 Well done 4 using a new tool LIVE! #iadismlearning12 does somebody know the link to tangophysics? @thomcochrane @HiramGlows Hi Hiram Welcome, and thanks! And now my favourite Cafe in Berlin!